Scotland to be allowed to stay within the single market, even if the rest of the UK opts for a “hard Brexit,” as undermining to overall Brexit talks. Scottish first minister Sturgeon will this week call for Scotland to subvert any plans for “hard Brexit” — the UK leaving the European Union’s Single Market in exchange for complete control over immigration. She will warn that Scotland will be forced to call a second independence referendum if their requests are “brushed aside” by Westminster. However, Downing Street on Monday quashed this request and warned that such an approach would undermine the UK’s Brexit negotiations with the EU. “We have an opinion that we will get the best deal for the UK if the UK is unified in its response,” the prime minister’s spokesman told the parliamentary lobby this morning. Asked whether Scotland could be allowed to continue Single Market membership, Downing Street said that while they would consult the devolved administrations prior to negotiations, any final deal would apply to the whole UK. 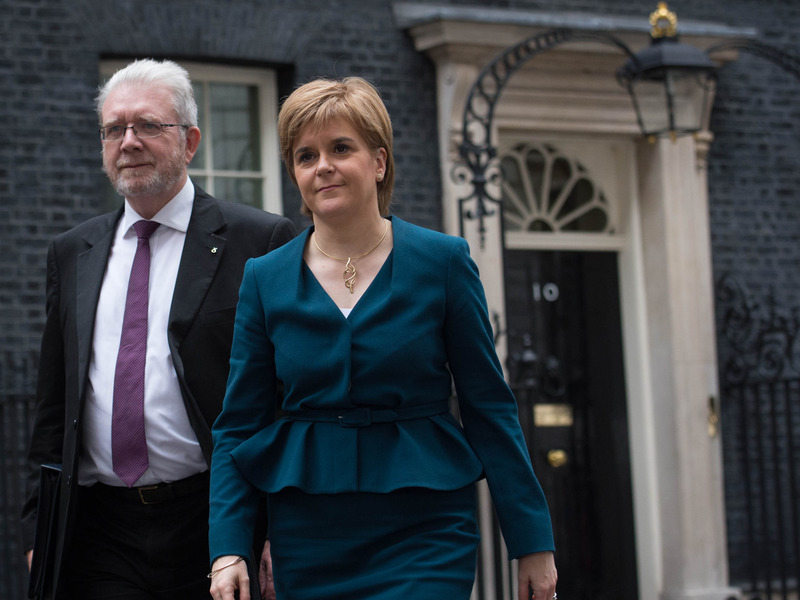 Downing Street’s dismissal of Sturgeon’s request could hand the SNP the justification for another push for independence. The Scottish government have already published draft legislation for holding a second referendum. Polls suggest that support for independence has actually dropped in Scotland since the Brexit vote, however. A YouGov poll for the Times last month found that support for leaving the UK has fallen to just 44%, with 56% backing Scotland’s continued membership of the Union. Reports suggest that Downing Street could be persuaded to authorise a second independence referendum, but only after Brexit negotiations have been concluded.